A brilliantly designed pizza menu board. 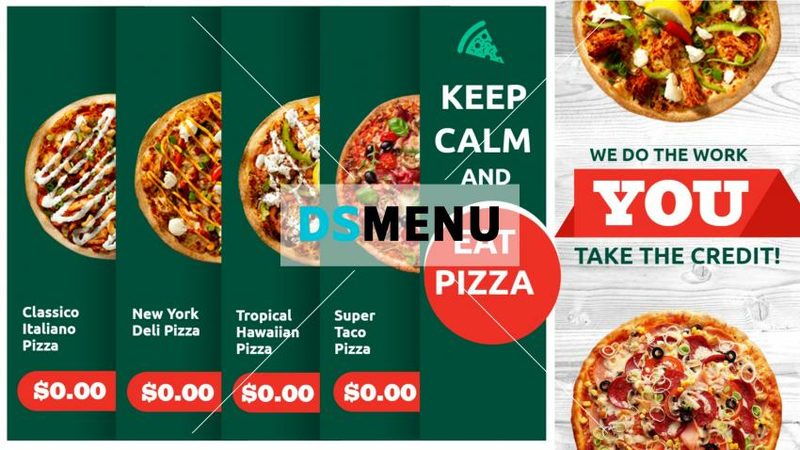 The dark green color is effectively used to depict four half pizzas and a quarter of a page is designed by white color, graphics and catchy content. Pizzas are the favourites of all fast food lovers worldwide, in all its shapes, forms and flavours. On a digital menu board, this menu board is a steal.